This season I will be wearing some type of leopard pumps because they are my new FAV trend (click here). 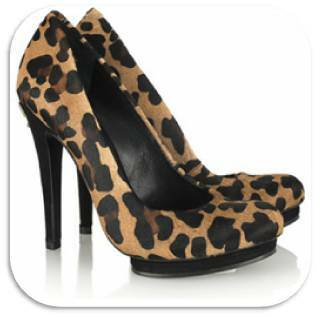 Check out these cute Tory Burch Leopard pumps that I NEED TO HAVE & my outfit to go with them. Peep my outfit below that is like a casual look to chill out in. you can’t go wrong with a pair of jeans, T-shirt, a blazer with some added accessories to WERK. Them. Pumps! I love when shoes make the outfit. The outfit is very simple and polished then bam check out the foot work!!! gotta love it!!! Love those pumps - but I love all things leopard... and i'm loving the white blazer - still on a hunt for one! I just got a pair of leopard calf hair pumps from D&G at Nordstrom rack! Those will definitely be making a debut on the runway! Oh wow - those TB heels are perfection! And I love those sunglasses too. Okkkk... I'm most def feeling the leopard look!!!! These are BAAAAAD!!!! Hawt! I usually don't like clunky heels but I loooove animal print! I love these pumps! they add instant pizazz to any outfit! Amazing shoes! Love the outfit too. leopard print is going hard this summer. Thanks guys & yes Leopard will be the thing THIS season & NEXT season (I feel). I am in love with leopard print, period! It's definitely still in, several months later! Your blog is amazing, original, really beautiful ! I am a new follower on Facebook :) Kisses and keep up the great work and the...attitude ! Cute look! A blazer, top, and skinnies is my go to outfit. And of course I always pair it with sky-high heels! LOVE ME some leopard!! And those pumps are fierce.